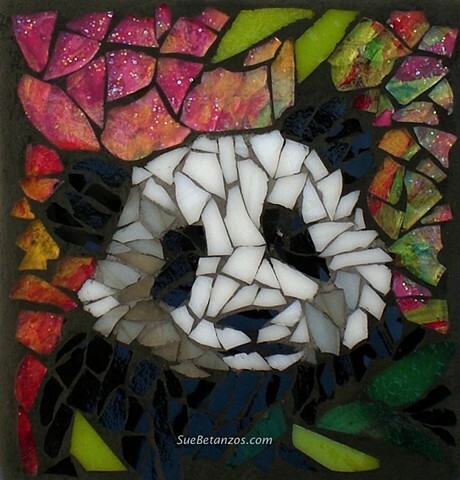 Stained Glass Mosaic Panda Hua Mei by Sue Betanzos. This little panda is from the San Diego Zoo. Hua Mei is so cute! !